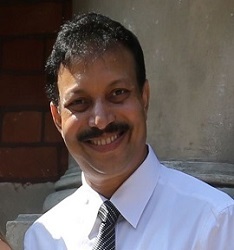 Dr Subodh Kumar Singh is a world renowned plastic surgeon and cleft surgeon. He established G S Memorial Plastic Surgery Hospital in 2001 in the memory of his father to provide state of the art reconstructive plastic surgery to the needy patients at a very affordable cost .His philanthropic work and passion for cleft surgeries brings enormous number of patients from all parts of India and especially eastern states. More than 32000 free cleft surgery and thousands other cleft surgery have been performed at his center in his leadership. His center is considered a center of excellence in cleft surgery and training and many students and plastic surgeons visit him for training and fellowship. He is currently President of Indian Society of Cleft Lip Palate and Craniofacial Anomalie. Has presented and publishes scores of scientific papers in national and international journals and in conferences. Has been faculty in large numbers of national and international conferences and has delivered many lectures and orations. *Has been Executive (governing council) member of Association of Plastic Surgeons of India for 3 years. * Has been Hon. Secretary of Indian Society for Cleft Lip and Palate and Craniofacial Anomalies for 6 years. Executive member of the National Academy of Burns. *His member of various national and international medical associations. ** His work has been appreciated by the President of India and Prime Minister of India who invited him to President’s house and Prime minister’s house respectively. *Trained at various institutions in India and abroad –in microsurgery, cancer reconstruction surgery, cleft and craniofacial surgery, burns and cosmetic surgery. *Presented and published a large number of original scientific papers, involved in genetic research on cleft. *Has been a faculty in various conferences, CME and operative workshops, not only in plastic surgery and cleft and craniofacial surgery but also in onco-surgery and cancer reconstruction. *Received Smile Train Hero Award in 2007 in Baltimore USA for performing highest number of cleft surgeries in the world. *Has also received various civic awards constituted by various organizations-Kashi Ratna,Siti Pushpa, Siti Vajayanti etc. * Smile Pinki - A documentary on his work and that of his hospital, has received Oscar award in its section. The film has also been shown in various film festivals and being liked tremendously. The documentary has been shown all over the world and has been one of the most viewd medical documentaries. ** In 2013, he and his patient Pinki, were invited to Wimbledon final match, where Pinki did the coin toss. *His center is considered a center of excellence in cleft and he regularly receives MCh trainees and visitors not only from India but also from other countries. He treats 80% of his patients free with help from NGOs. * His center has done more than 30,000 free cleft surgeries which is by far the highest done by any center in the world. Because of his tremendous work, Varanasi is now called Cleft Capital of the world. His work has been widely covered in national and international media-‘The Week’ named him one of the 30 pearls of India. *He has started a big genetic research in cleft along with Center of Genetic Disorder of BHU. This is the biggest genetic research on cleft in India.